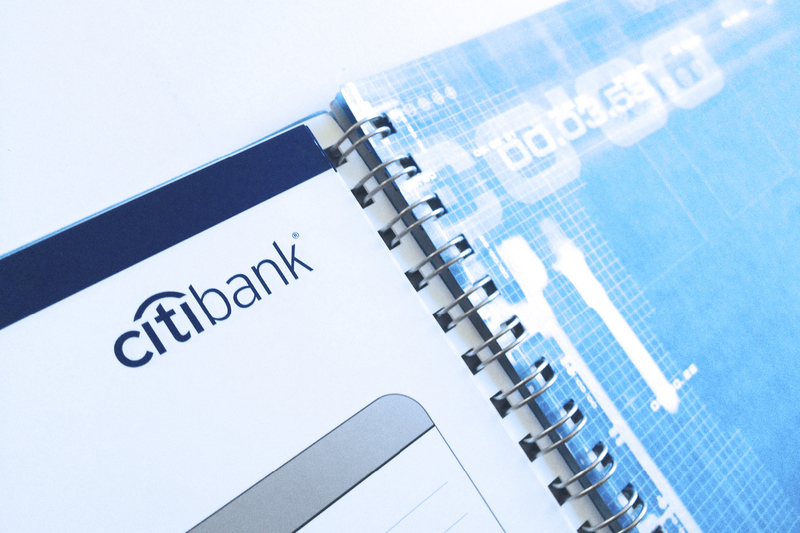 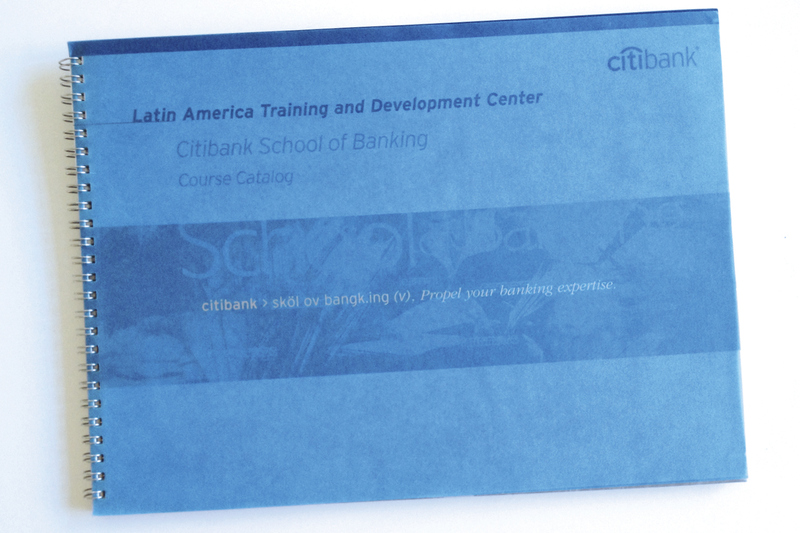 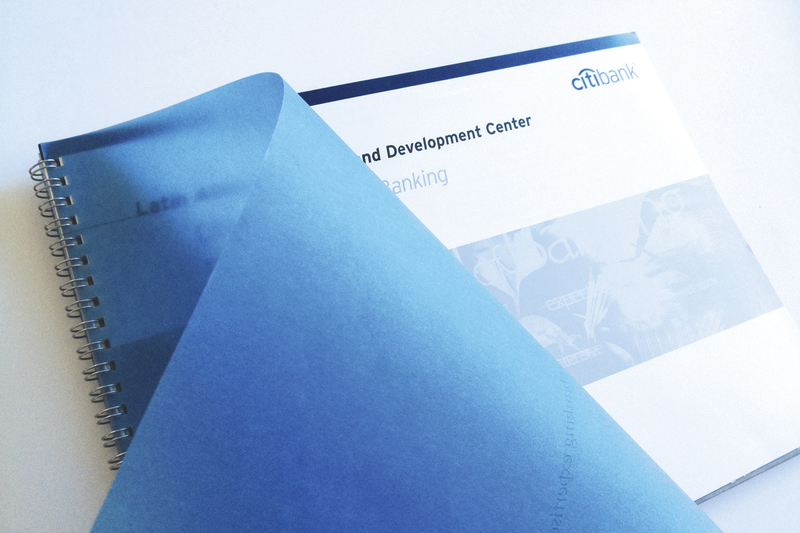 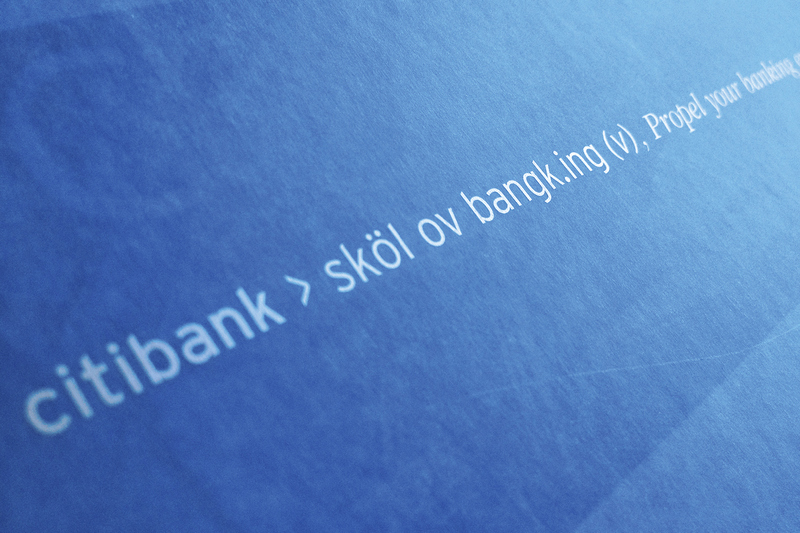 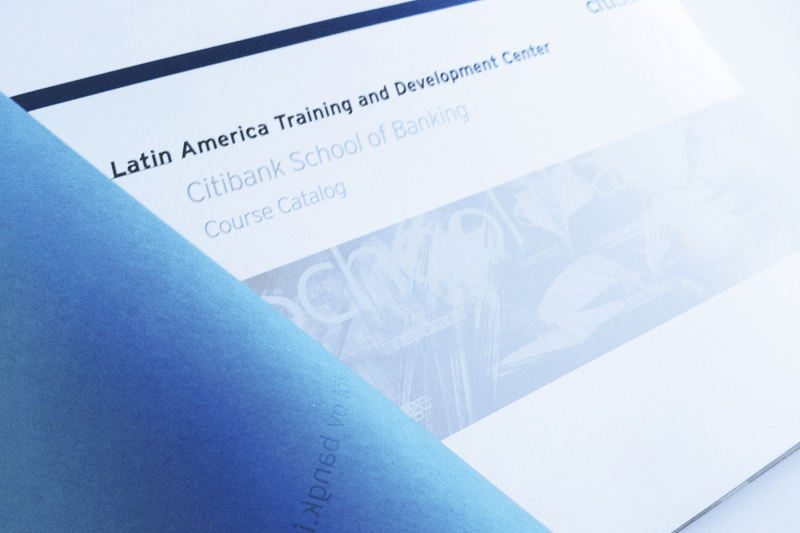 Design and production of Citibankl School of Banking Course Catalog. 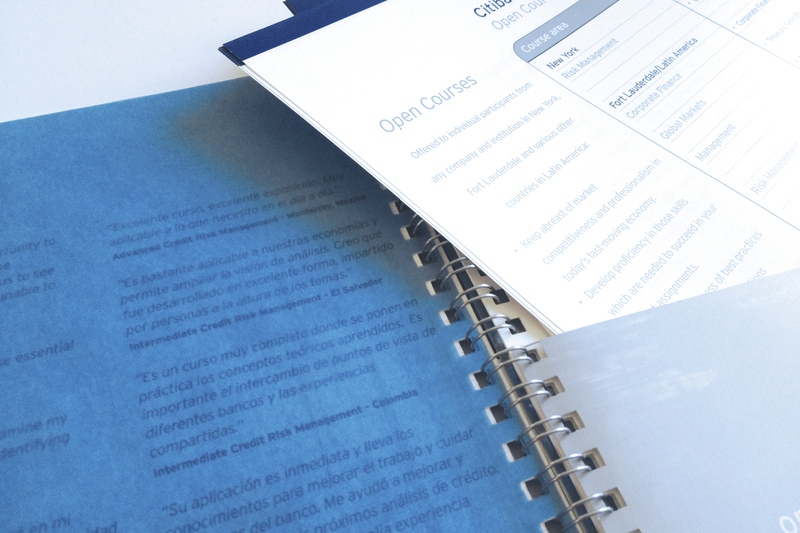 Multipage book. 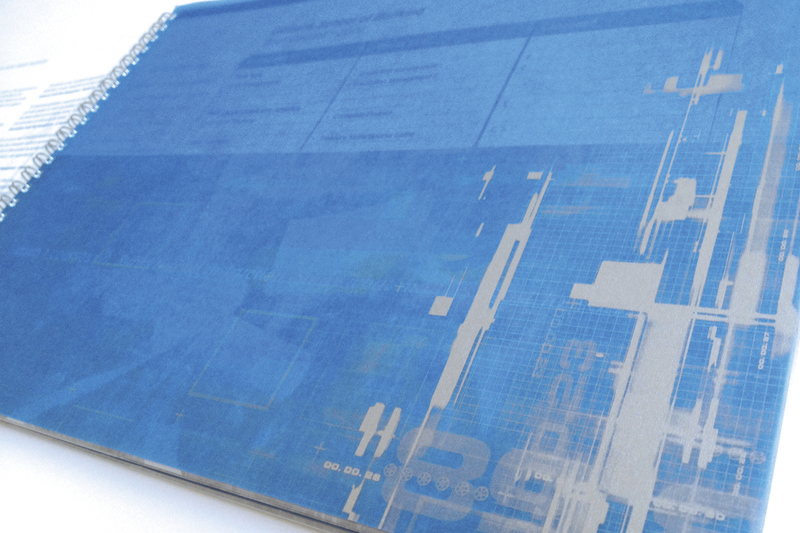 Blue transparent cover/divider sheets with silver metallic ink. 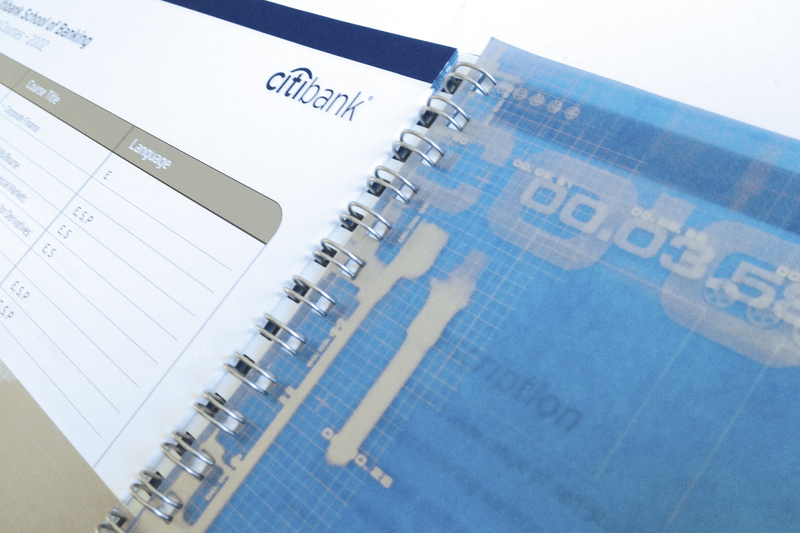 Transparent cover sheet with silver metallic ink. 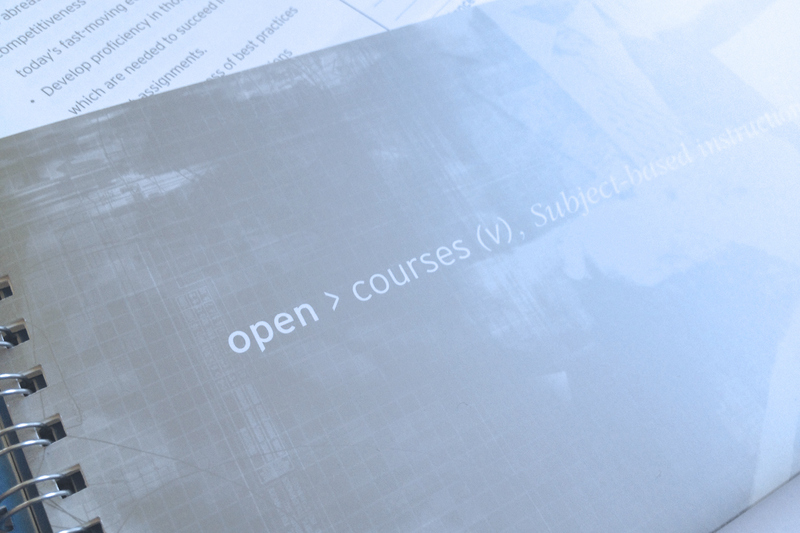 Back cover has been converted into a pocket folder for spec sheets.